In Florida, drivers have to buy personal injury protection (PIP) insurance coverage. Drivers are actually not required to buy bodily injury liability insurance coverage in the state of Florida, although many motorists do opt to get liability coverage in case they cause a crash and get sued. 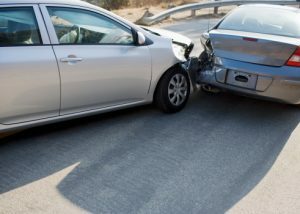 Collision victims need to know how different insurance claims work after an accident so they can get medical bills paid. Rear-end crashes are one of the most common types of crashes in Sarasota, and these accidents can cause serious injuries which require costly medical care. Whiplash, which is a soft tissue injury of the neck, often occurs after a rear-end car crash, but victims can also suffer a wide variety of other injuries including brain damage, spinal cord damage, and facial injury when they strike their face on the front dashboard or front airbag after the rear vehicle strikes their car and thrusts them forward. Regardless of the nature of your injuries or the severity, you should turn to an insurer for coverage of medical bills so you don't face personal financial loss. Whether your are making a personal injury protection (PIP) claim or are trying to pursue a claim against a driver who caused the rear-end accident, you need to understand insurance companies are not on your side. American Institute for Justice published a comprehensive report about all of the different techniques used by the 10 worst insurance companies in America to try to get out of paying claims. These tactics included things like making very low settlement offers, denying coverage even for things which should be covered, delaying settlement negotiations, and aggressively litigating cases when victims of crashes didn't accept the low settlement offers. Ensure there is documentation from the crash scene about how the accident happened. A police report, collision photographs and witness statements can all be helpful. Ensure there is documentation of your injuries. You want to be able to prove the injuries occurred because of the crash and you want to be able to demonstrate the full extent of the injuries and the treatments received. Getting a comprehensive medical examination after the accident is key. You should also be sure to keep all medical bills, and you may wish to consider sending a demand letter to the insurer detailing the extent of your losses and your expectations for coverage after the crash.